On the east bank of the Brazos River stands East Terrace House, a residence with a past that is as remarkable as its Italianate style of architecture. Future industrialist John Wesley Mann moved to Waco in 1858 from Lebanon, Tennessee. He raised horses until he enlisted in the Confederate Army in 1861 as a private in Company G, Sixth Regiment, Texas Cavalry. Mann served as a blacksmith and as a member of a scout company throughout the duration of the war. Having survived the war, Mann looked to settle down. He married Cemira Howard Twaddle Mann in 1868. Mann purchased property on the east bank of the Brazos River. In 1874, J. W. Mann, his wife, and first son, Howard moved into the completed East Terrace House. 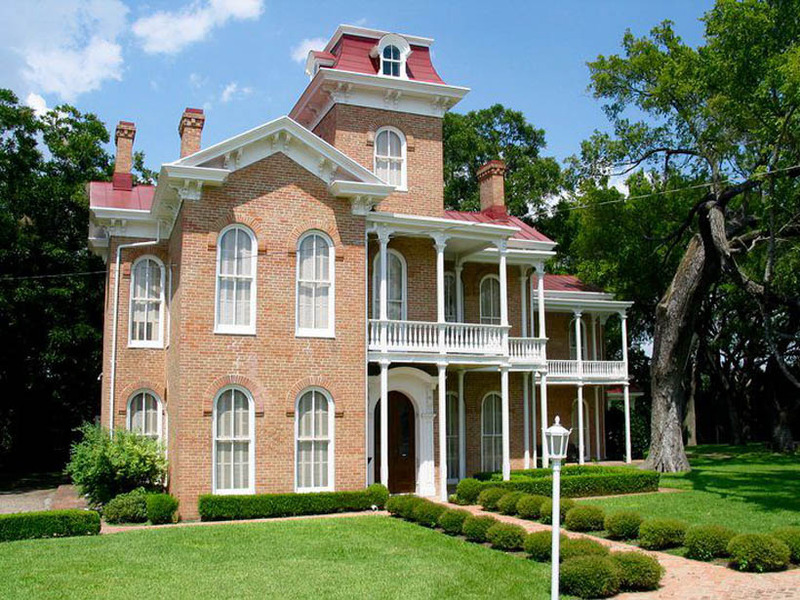 The residence is an example of Italianate architecture, a style seen but rarely in the South. East Terrace offers a visual feast of the Italianate with its vertical proportions, tall hooded windows, horizontal roofline, and bracketed cornices. Its square Mansard-roofed cupola is particularly striking. The cupola boasts a tower room with excellent views of the estate’s acreage and the Brazos River. Mann designed his family residence to be well suited to matters of business and pleasure. 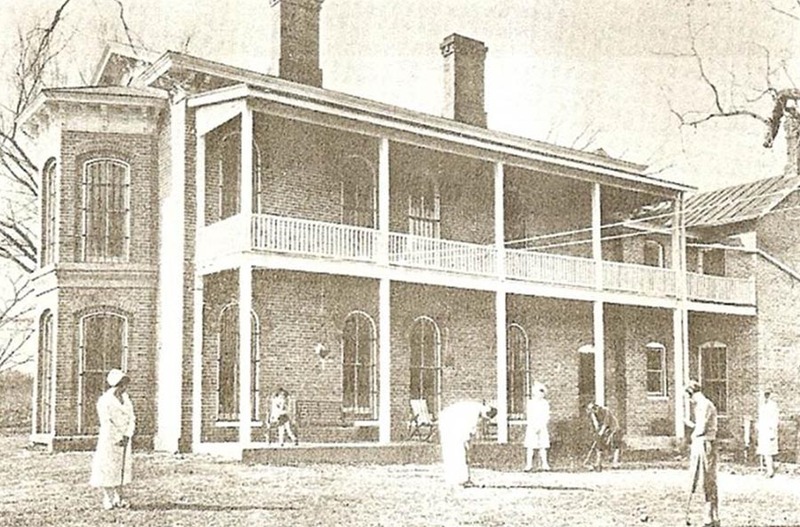 A successful industrialist, Mann conducted much of his commercial dealings from the comfort of his home office due to its relative proximity to his brick kilns, sand barges on the Brazos, and other ventures. 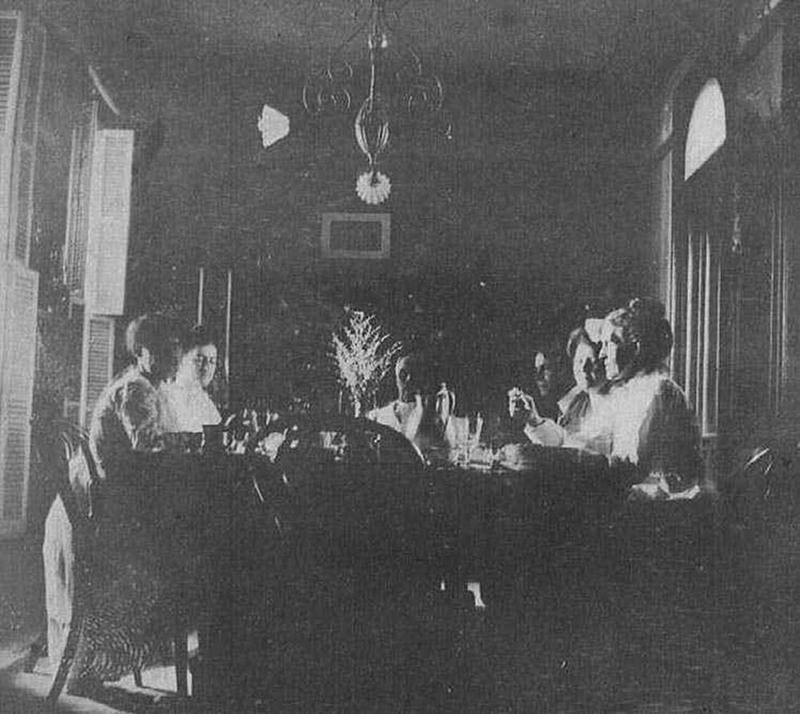 In order to better entertain clients and leading members of Wacoan society, Mann added a dining room and large bedroom to East Terrace in 1880. The family furnished the bedroom with six small beds to accommodate overnight guests. By 1884, Mann approved a second addition to the house, an entertainment wing complete with its own entrance hall and ballroom. Parties in the East Terrace ballroom were a grand event. The Manns would host frequent summer balls that attracted so many society figures that extra stable boys had to be hired to take care of the numerous carriages and horses. No less impressive were the original grounds of East Terrace. 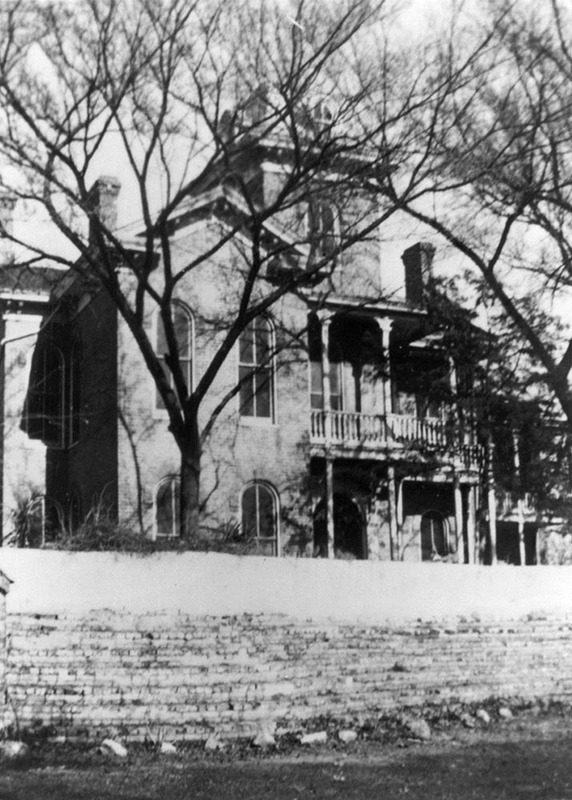 Resplendent with rose gardens, strutting peacocks, an orchard, columbine-draped terraces, and a sunken garden with a goldfish pond, the Mann family’s estate was a small Eden along the Brazos. However, East Terrace’s proximity to the river meant that it was also susceptible to flood waters. 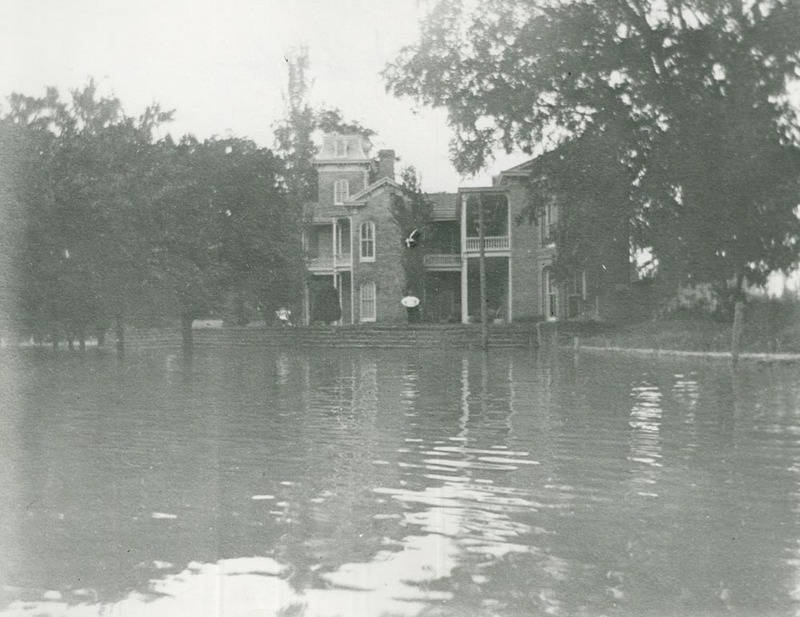 Several times the grounds were overtaken by the swollen banks of the river, and at least once the waters rose as high as four feet in the residence’s ground floor. The early part of the twentieth century witnessed a decline in fortune for the estate. While Howard Mann retained possession of the house, it ceased to be a grand family residence. 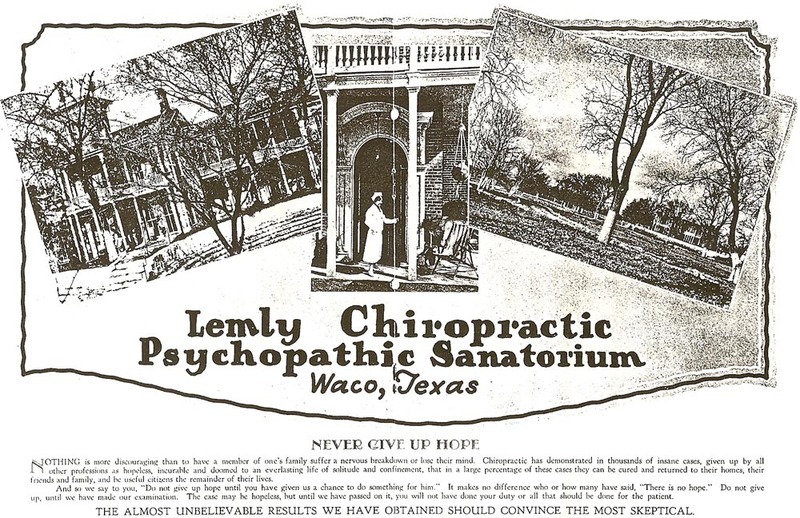 From 1930 to 1939, Mann leased East Terrace to Charles Lemly who converted it into the Lemly Chiropractic Psychopathic Sanatorium. After Lemly, Mann rented the house to different tenants but under the stipulation that he be allowed to keep a room there. When Mann passed away in 1948, East Terrace stood vacant except for the occasional presence of vagrants. Thankfully, East Terrace was not to be left to the ravages of time. Young Brothers Contractors purchased the estate in the 1950s to use the site for equipment storage. Recognizing the historic value of the property, Young Brothers deeded East Terrace to the Heritage Society in 1960. 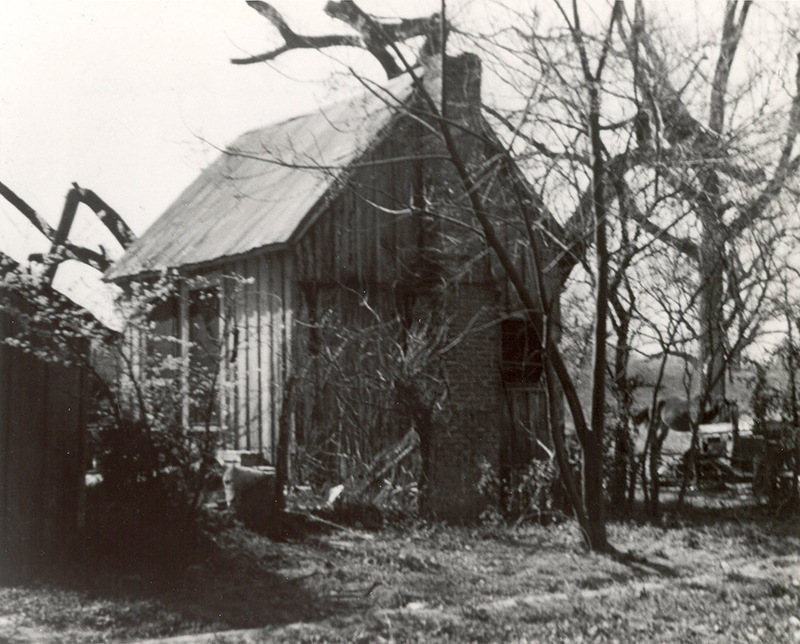 Financial gifts from the Cooper Foundation, Eleanor Pape, Lucille Massey, and others enabled two restoration projects to be carried out in 1960 and 1966, respectively. 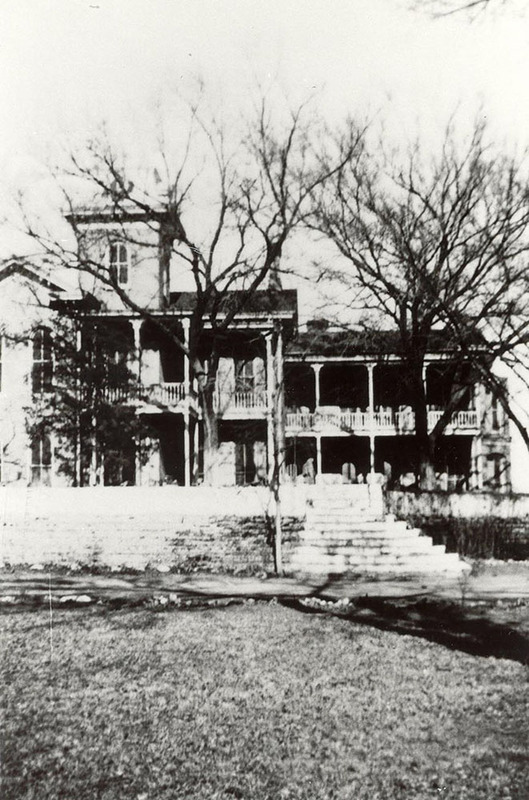 In 1967 East Terrace received the Texas Restoration Award. East Terrace House is now an historic house museum run by Historic Waco Foundation. For tours of East Terrace House, or for more information about Historic Waco Foundation, visit www.historicwaco.org. 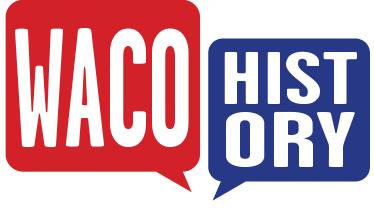 Historic Waco Foundation and Prisca Bird, “East Terrace House,” Waco History, accessed April 19, 2019, https://wacohistory.org/items/show/74.